I have to admit that, as Halloween approached, I thought that an easy cheat for this new blog would be to find an old, photogenic cemetery where I could snap some scenic-n-spooky pics to post here. I checked with Google to see if there were any cemeteries near my drive home, and noticed one - located near the end of a dirt road between Traxler and High Springs - that I'd never heard of before: Asberry Cemetery. The road itself was quite scenic - tree lined, dirt, passing alongside numerous farms raising horses, cows, goats, and donkeys. 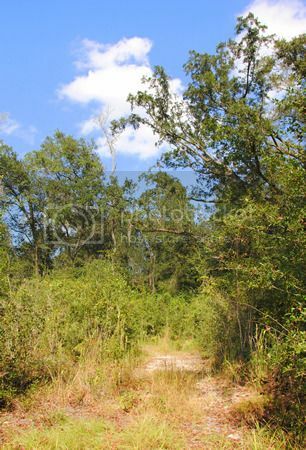 The road didn't use to be a dead-end, although it was truncated in 1995 by the limerock mining company which purchased the large tracts of land located at its end.... as well as the property upon which the Asberry Cemetery is located. I didn't know any of this when I went hunting for it. I was expecting normal cemetery-looking cemetery. Instead, I came to an earthen blockade and a sign saying that the road was closed to through traffic. I was surrounded by trees and overgrowth, and there was no visible sign of anything resembling a cemetery. According to Google Maps, the cemetery was just to my south inside the wooded area. Now I am all for exploring strange and unknown places, but wandering into unknown woods all by myself in search of a cemetery – much less on the Friday before Halloween – gave a me a little bit of the heebeejeebies. I did it anyway. 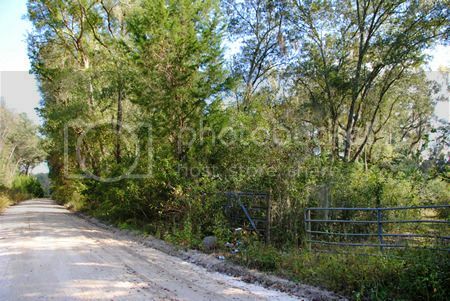 On the south side of the road, in the general direction where Google claimed there was a cemetery, there was a gate leading to a cleared path into the woods. I followed it. An open gate on my right; the road dead-ended behind me. The path itself seemed fairly well maintained... except that it, too, dead-ended. I expected the path to lead, perhaps to a clearing of some sort, where the cemetery would be located. Instead, the path dead ended in a giant block of limestone. There was no sign of a cemetery anywhere, and my sixth sense was definitely screaming heebeejeebies! at me, so I turned to go. Out of the corner of my eye, something glinted and caught my eye. It was a fairly new metal grave marker, but minus any sort of identification. Remains of potted flowers sat atop one of the graves. 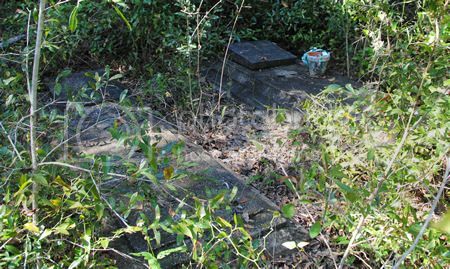 The graves were overgrown and surrounded by brush. At first glance, they looked quite old; however, I was surprised that when I brushed the leaves off of them the dates were actually quite recent. Gertrude died in 1989, and Catherine in 1994. 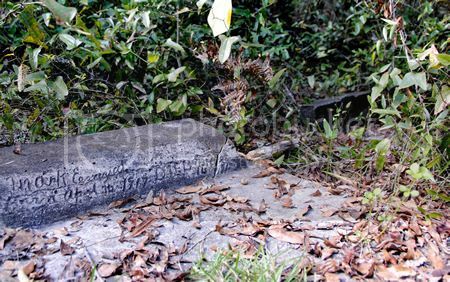 The idea of such recent graves, untended and overgrown and out in the middle of nowhere, was a little unsettling. I snapped some pictures and decided to head out. Halfway back to my car, I stopped to take a picture of the path, and yet again I noticed something out of the corner of my eye. This time it was a little orange survey flag… marking yet another grave. ...and the two graves I spotted to my left. These two graves, marking Eliza and Mark Emziah, respectively, were much older. The engraving was hand-carved. Eliza apparently lived from 1888-1918. Mark was either born in or died in 1917. 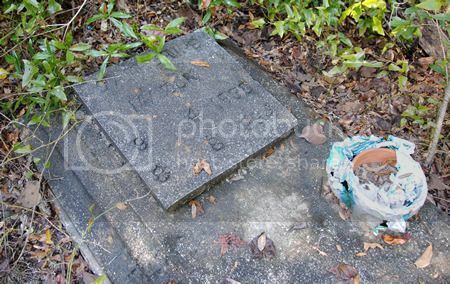 There was another grave next to Mark’s with no visible writing. I took pictures, and looked around for more graves, but to no avail. Then I skeedaddled because I was feeling just a wee bit creeped out. This unmarked, overgrown, untended cemetery has haunted me for the past several days since I found it. 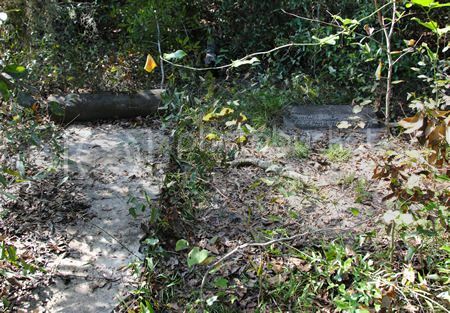 How can a cemetery in which people were buried as recently as 20 years ago be abandoned? Who owns the property now? Why is it in the condition that it is in? 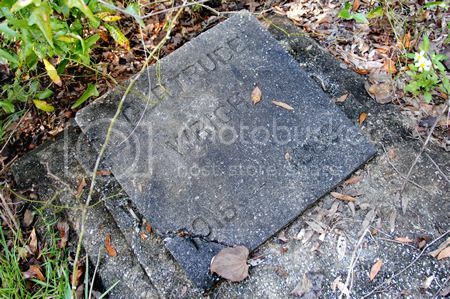 There is very little information on Asberry Cemetery available online. 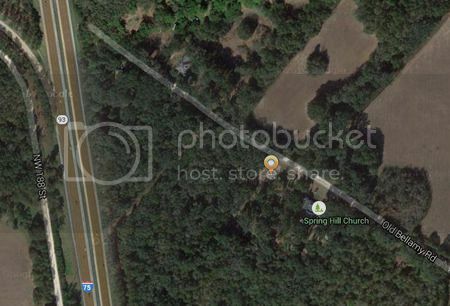 I found one site which labeled several individuals as having been buried in Asberry Cemetery; however, when clicking on the associated map, it turned out that what the website was calling Asberry Cemetery was actually the Spring Hill Cemetery in Traxler. 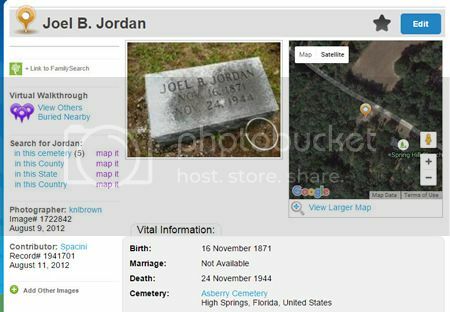 Close-up of the map view: Note how this is clearly Traxler; Asberry Cemetery is on the western side of I-75. 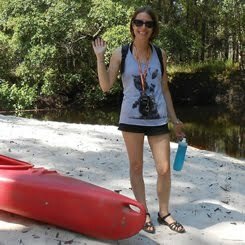 I did find one website, the Wizard of AR Alachua County Virtual Cemetery Project, which had the most information about Asberry. 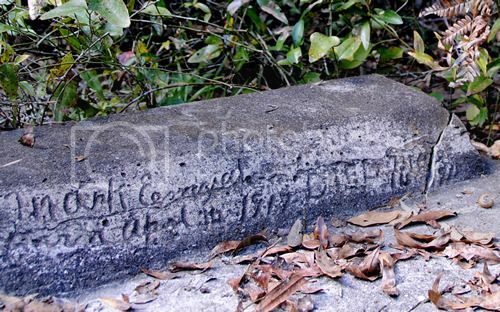 The goal of the website is to locate, photograph, and identify graves in cemeteries throughout Alachua County, Florida. 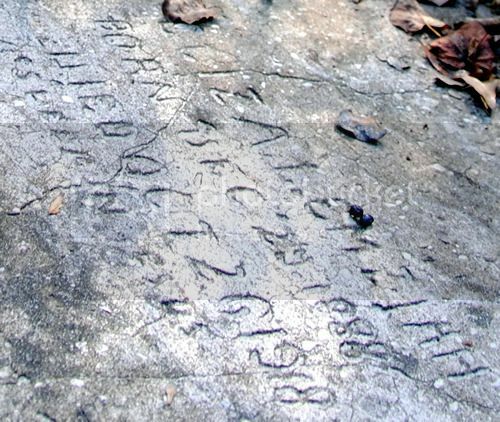 The Wizard of AR folks visited Asberry Cemetery in 2005… and they located and photographed more than thirty graves. I saw six. 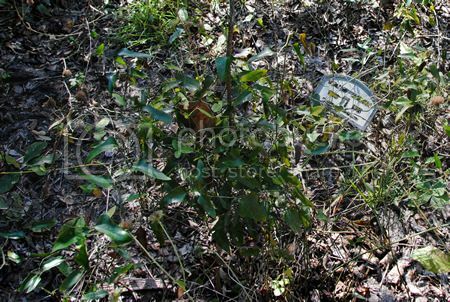 There were apparently quite a few more hiding in the underbrush, and pictures of them all can be seen by clicking on the names listed on the Wizard of AR Asberry Cemetery page. 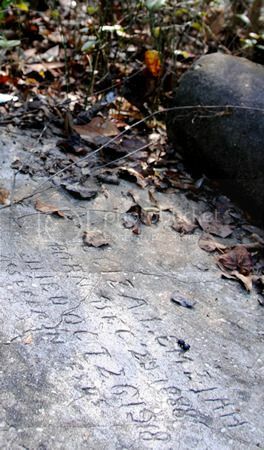 Looking through the photos on the Wizard of AR page, I noticed that several of the grave markers contained not only the names of the interred, but also the names of the funeral homes involved in the burials, specifically Chestnut Funeral Home and Duncan Brothers Funeral Home. A quick Google search revealed that these funeral homes primarily serve the local African American community, which leads me to conclude that this is an African American cemetery. I have tried to determine if there was an Asberry community or an Asberry church, but I have found no information whatsoever. 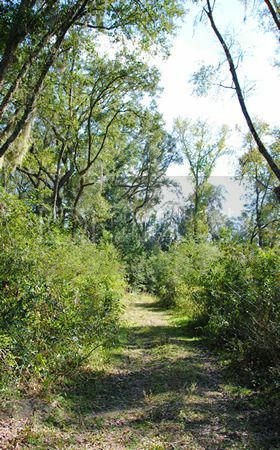 Regarding the property itself, it is on the eastern edge of a large tract of land owned by a limerock mining company (this information is courtesy of the Alachua County Property Appraiser's website, which has an excellent search function). While the property owners have clearly blocked the cemetery off with large blocks of limerock (thus explaining the large chunk of stone blocking the end of the path that I followed), and they are not conducting any mining on the cemetery grounds, they do not appear to be doing anything to maintain the cemetery itself. Benign neglect? Sigh. From Google Earth you can see how the dirt road dead-ends in a turn-around. 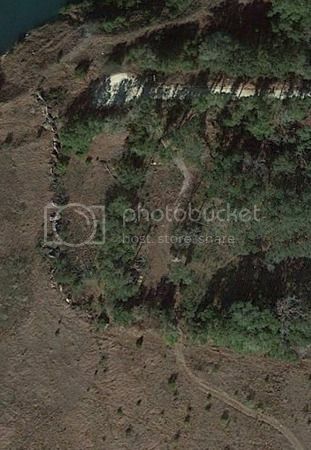 You can also see the limerock "wall" that not only blocks the road, but separates out the cemetery's territory from the rest of the mining territory. The 'path' which I walked looks more like a road from this shot, although it was blocked with a giant limestone rock at the treeline. How cool! I'm a resident of High Springs. I would like to be of service in preservation of the Cemetary. Let me know if I could be of any help.